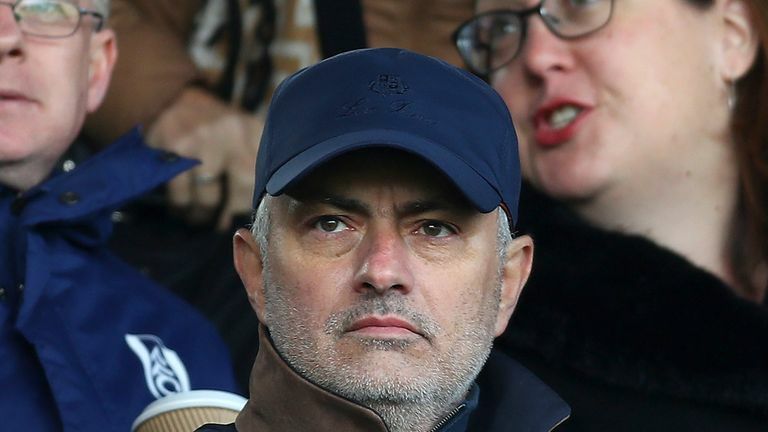 The former Manchester United manager, who was sacked from his position at Old Trafford in December, took his seat in south-west London to watch Scott Parker's side attempt to halt Everton's recent good run of form. Mourinho was in relaxed mood ahead of the 3pm kick-off down by the River Thames, a short trip from where he once plied his trade at Chelsea. It is understood the Portuguese lives nearby.